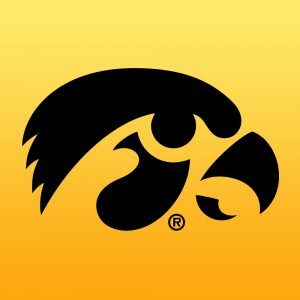 TAMPA, Florida – University of Iowa senior Megan Gustafson was named the Associated Press National Player of the Year and the recipient of the Lisa Leslie Award on Thursday. The announcements were made during a press conference in Amalie Arena at the Women’s Final Four. Gustafson is the first Big Ten student-athlete to receive the AP National Player of the Year. Gustafson is the first Hawkeye to earn a national player of the year award of any kind since Michelle Edwards received the Champion National Player of the Year Award in 1988. She becomes the first Big Ten women’s basketball student athlete to receive national player of the year recognition since Purdue’s Stephanie White won the Wade Trophy and the Honda Sports Award in 1989. The Port Wing, Wisconsin, native also earned the Lisa Leslie Award on Thursday evening. The award, in its second season, recognizes the nation’s top center. This season, Gustafson led the nation in five categories, including points per game (27.9) and field goal percentage (69.6). She ended her career with 2,804 points and 1,460 rebounds. On Monday, Gustafson became just the fourth NCAA women’s basketball student-athlete and the first ever post player to score 1,000 or more points in a single season. Gustafson was also named one of 10 WBCA All-Americans on Thursday. She is the first Hawkeye to earn the distinction since Sam Logic in 2015. Gustafson, a two-time Big Ten Player of the Year, is also a finalist for the Naismith Trophy, USBWA Ann Meyers Drysdale Award, and the John R. Wooden Award.